Mexican Economy Minister Ildefonso Guajardo. SAO PAULO — Mexico’s economy minister on Thursday urged officials to push for a speedy renegotiation of the North American Free Trade Agreement (NAFTA), saying his country and Canada must be ready to go it alone if the United States pulls out. 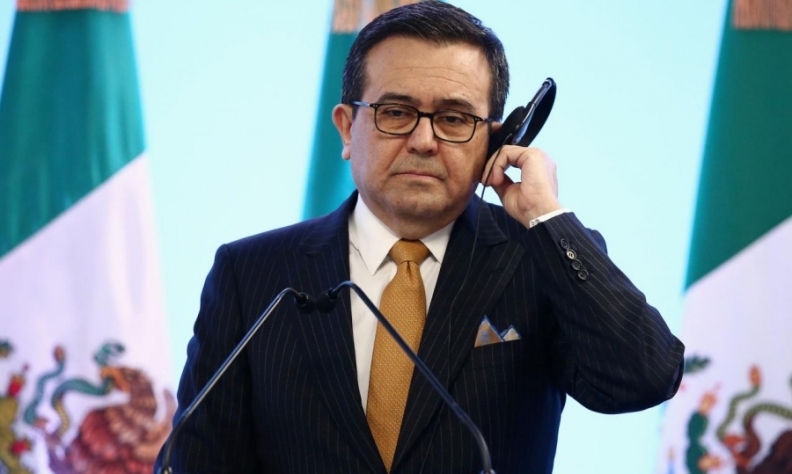 Economy Minister Ildefonso Guajardo said if no deal to rework NAFTA could be struck by April 30, then the new political complexion of the region would cast doubt on how incoming lawmakers would view it in Mexico and the United States. Guajardo had previously identified a window for negotiation extending through July, though his comments come a few days after U.S. Trade Representative Robert Lighthizer floated the idea of reaching a deal “in principle” in the next few weeks. The regular session of Congress in Mexico ends on April 30, and the country will elect a new president in July who takes office at the start of December. The United States will hold mid-term congressional elections in November. Mexico’s government is eager to broker a deal before a change of presidency, and Guajardo has also said his team would be ready to keep talking until the end of November. Speaking with Reuters on the sidelines of the event, Guajardo said he thought it was probable that the negotiations would drag on beyond April. Nonetheless, he said it could be possible to complete the technical work in a month. “If there’s political will and flexibility to reach an agreement, I think it’s technically not impossible,” he said in an interview. Guajardo has stressed that Mexico wants to keep NAFTA tri-partite, but reiterated that both Mexico and Canada needed to be ready for the possibility of a U.S. departure. A vast majority of Mexicans remained in favor of free trade, and U.S. President Donald Trump was coming under increasing pressure from political supporters in farming states to renew the trade deal, the Mexican minister said. If NAFTA was not reworked soon, terms of negotiation could be shifted by political developments, such Democrats winning control of the U.S. Senate, Guajardo said. He noted that Democrats claimed victory this week in a special congressional election in Pennsylvania in a district Trump had won in 2016. The vote tally officially remains too close to call. Speaking at a fundraiser in the state of Missouri on Wednesday, Trump reiterated that he thought it best to kill NAFTA and strike a new deal. Nonetheless, Trump’s comments appear to contradict statements made by his newly installed director of the White House National Economic Council, Larry Kudlow. On Wednesday, Kudlow said he thought NAFTA needs to be reupholstered in many ways, but ditching it would have bad consequences.